Hurry up! 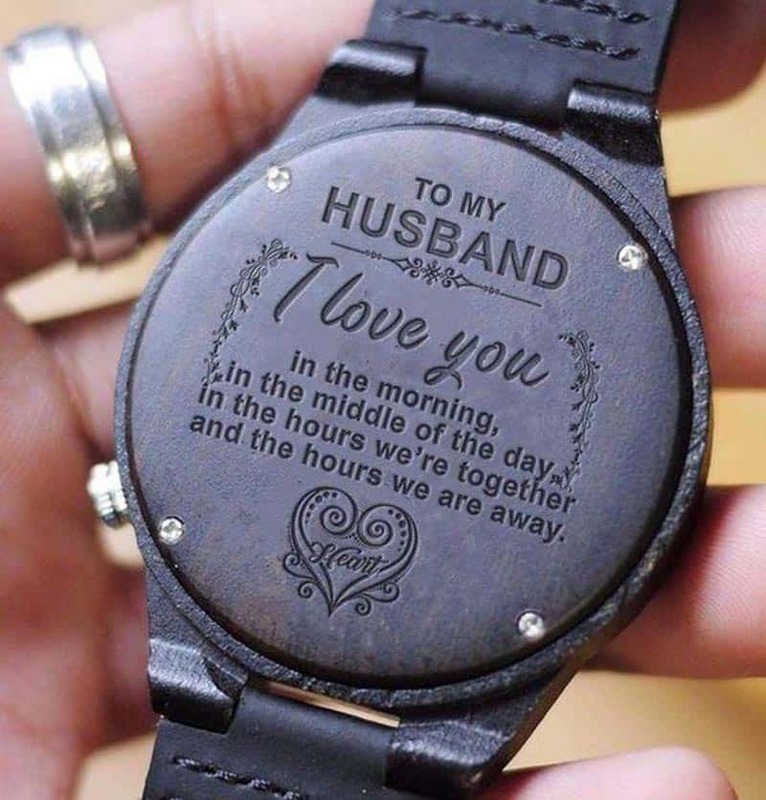 The Christmas is almost here and you have to find the best gift for men from your life. We have a great suggestion! 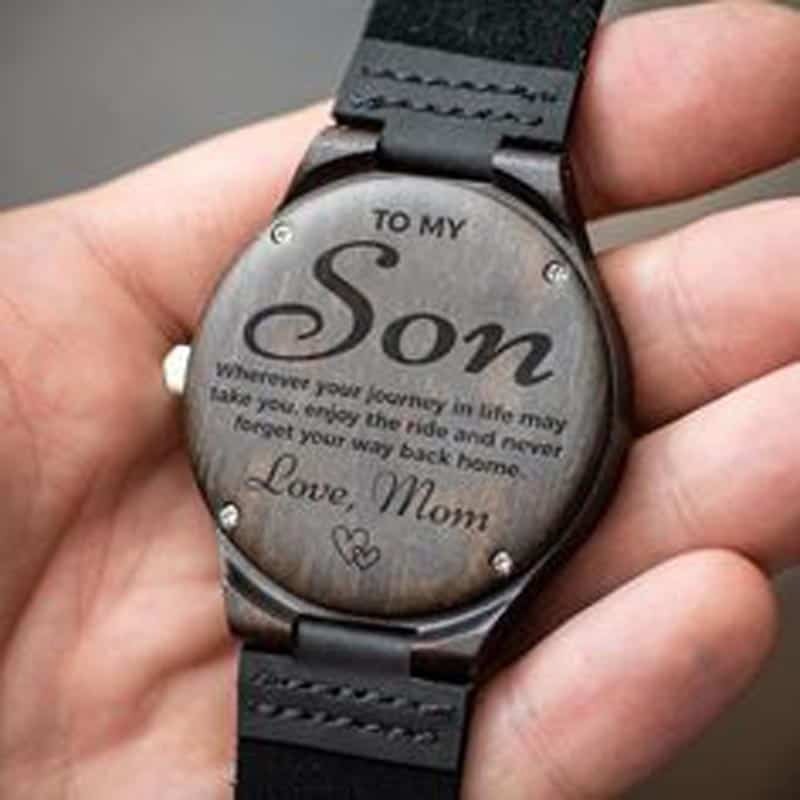 After our research , we think this personalized engraved wooden watch is the best men gift for this Christmas. The wooden watch is engraved with the Word on the watch back. 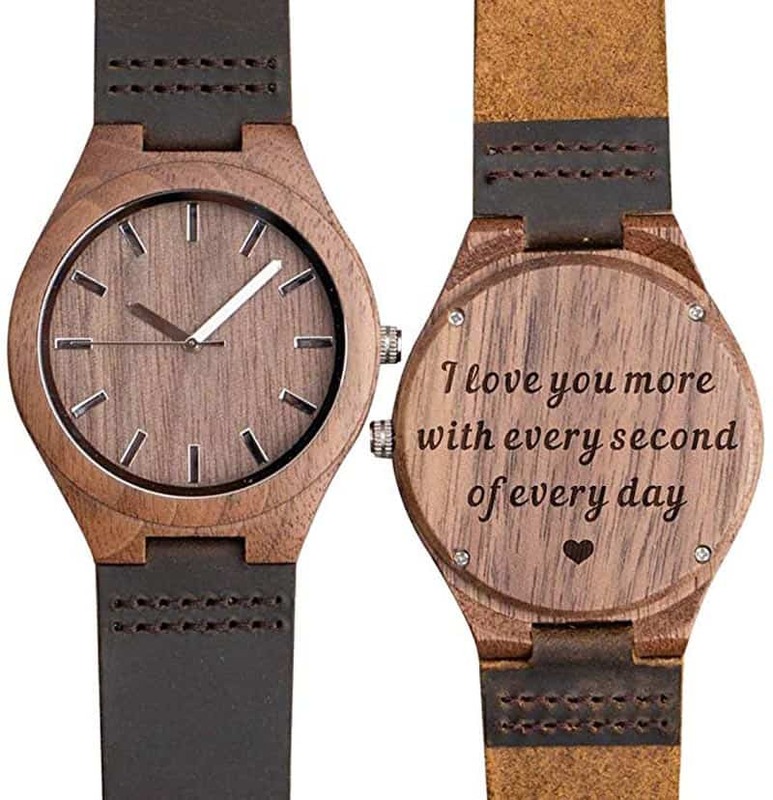 The watch’s case is made of 100% natural wood; with no harmful chemicals or paints were used. 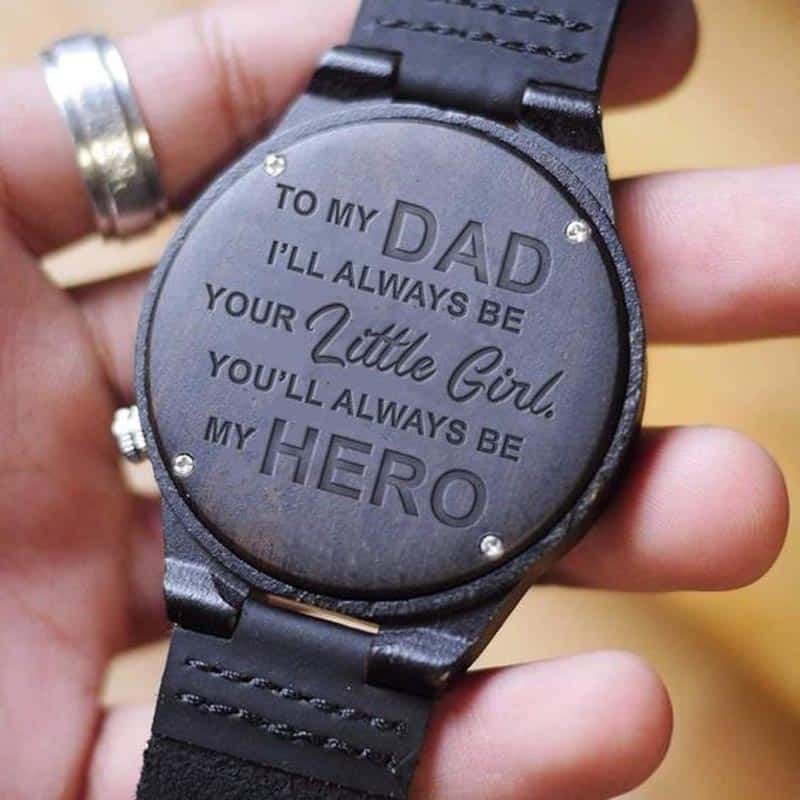 The band is Genuine leather strap. Lightweight and comfortable on the wrist. This wooden watch is equipped with precise Miyota quartz watch movement, developed in Japan and considered to be one of the most reliable and versatile watch calibers in the industry. The wood watch is shipped with a watch pillow inside a watch box. 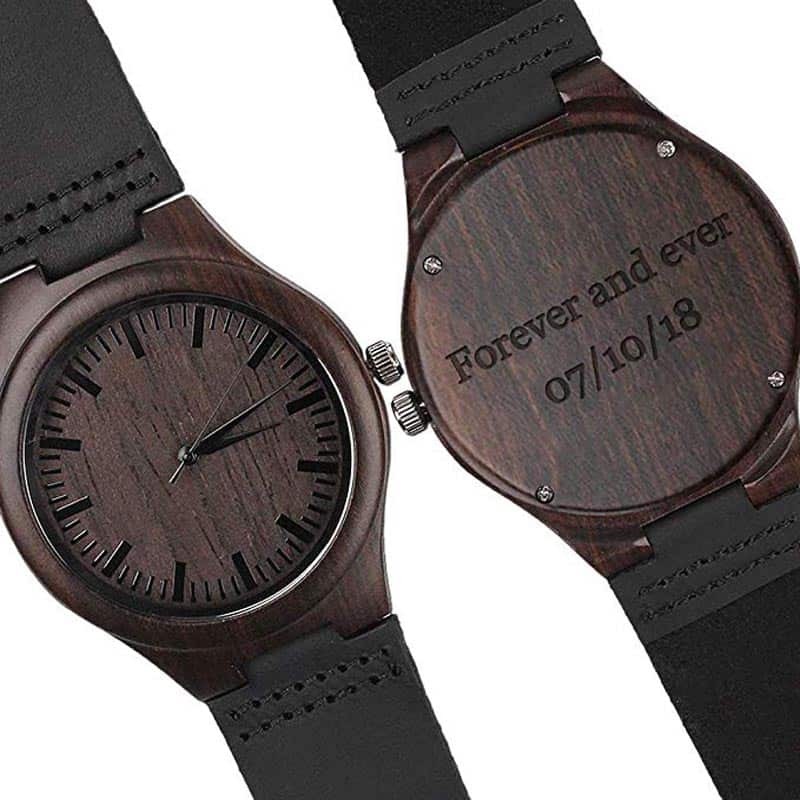 This Engraved Wooden Watch is the perfect gift on Birthday, Graduation, Christmas, Anniversary, Wedding.